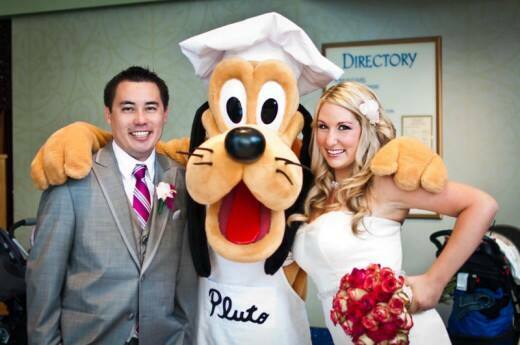 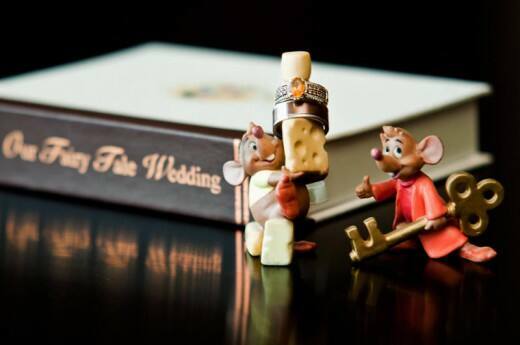 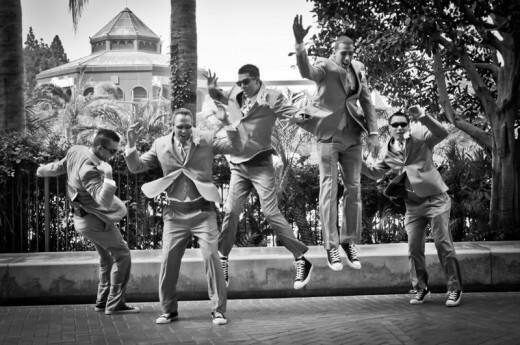 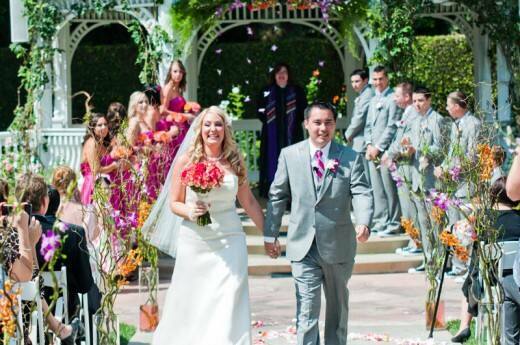 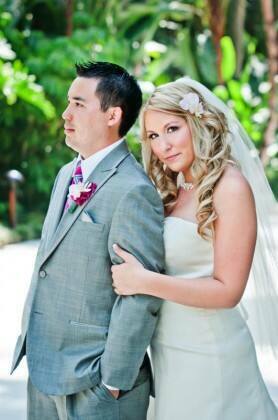 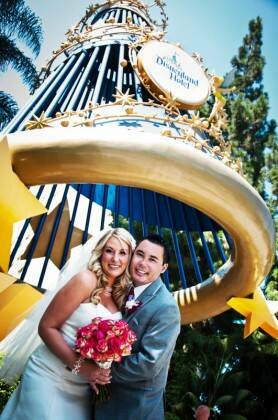 Kyle & Elizabeth were married at the Disneyland Hotel amongst their family, friends and special guest Pluto! 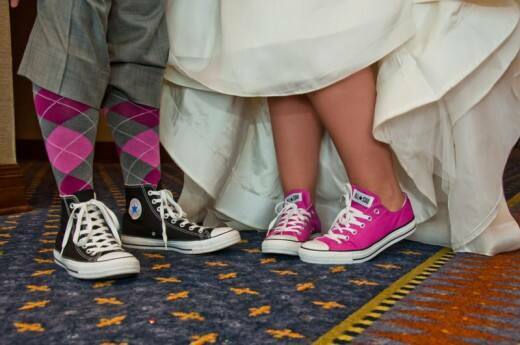 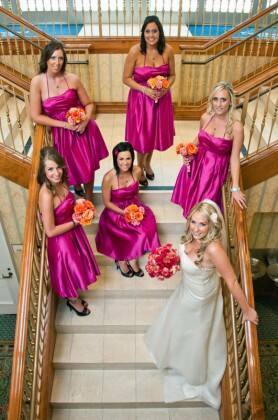 Elizabeth's bridesmaids wore hot pink dresses and she sported pink Converse sneakers to match. 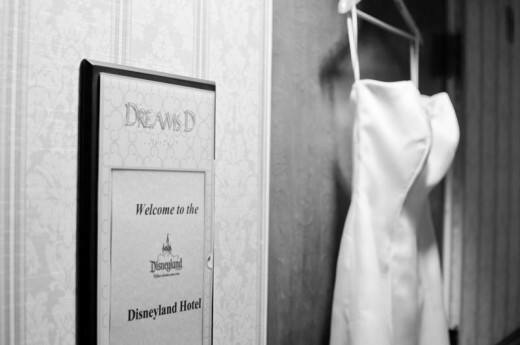 I hope you enjoy this gorgeous wedding shot by Jason Burns Photography- it's a fairy tale dream come true!